The Rubik’s Cube is a 3D puzzle toy invented in 1974 by Hungarian professor Ernő Rubik, who originally called the toy the Magic Cube. 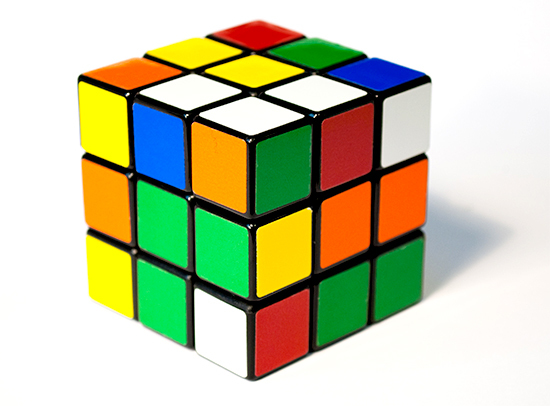 Created as a scientific tool, the Rubik’s Cube was released internationally in 1980, and immediately became a cultural sensation, selling over 350 million cubes since and becoming the world’s best-selling puzzle game and toy. The classic cube is compromised of six faces, with six different sticker colors, with an internal pivot mechanism that allows the different faces to be turned independently. The Cube, reaching the height of its popularity in the 1980s, has since spawned a variety of tournaments, clubs, and variations on the classic design. 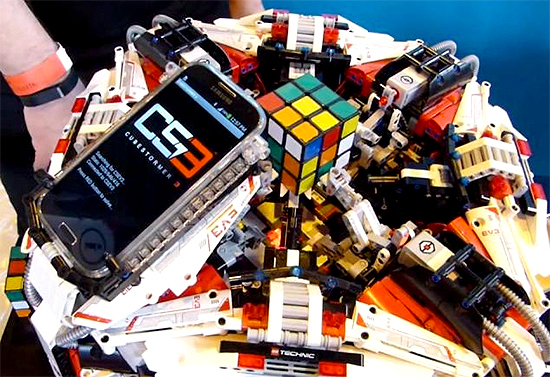 Now, a robot made entirely of LEGO pieces and a smartphone has broken the record for solving the Rubik’s Cube, being able to complete the puzzle in 3.25 seconds! The robot, titled the Cubestormer 3, beat the record set by the previous Cubestormer 2 by over 2 seconds, both of which have beaten the unassisted human record of 5.5 seconds, set by Netherlands player Mats Valk. The Cubestormer 3 uses the smartphone as a camera and analyzer, rapidly taking a photo of each side and then calculating the fastest sequence of moves in order to solve the Cube.